This is AE911Truth’s new 9/11 documentary on the mysterious destruction of World Trade Center Building #7 on 9/11/01. Join actor, Ed Asner and Architect Richard Gage, AIA and Architects and Engineers as they narrate an unfolding story that decimates the official account (“collapse due to normal office fires”) of this 47 story high-rise which was destroyed on the afternoon of 9/11 in record time: top to bottom in under 7 seconds – and at free-fall acceleration for a third of its fall. 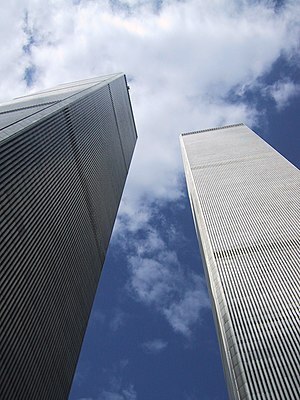 Solving the Mystery of the Free-Fall collapse of WTC 7. Please also support the work of AE911Truth, a non-partisan non-profit 501c3 organization with your financial support by visiting http://AE911Truth.org today and click the Donate button. We are a community organization with no corporate sponsorship. YOU are our lifeline. Join the family of sustaining supporters today! This video deals with the 911 deception; nothing less than another false flag event to accelerate the now not-so-hidden agenda of the global elite and the New World Order.